From September 5 to October 12, Korea University (KU) Pioneer Village is hosting “Accident Black Spot 2018” in π-Ville, a festival in which its visitors can try out diverse activities including visiting the flea market and seeing a movie on the corner. 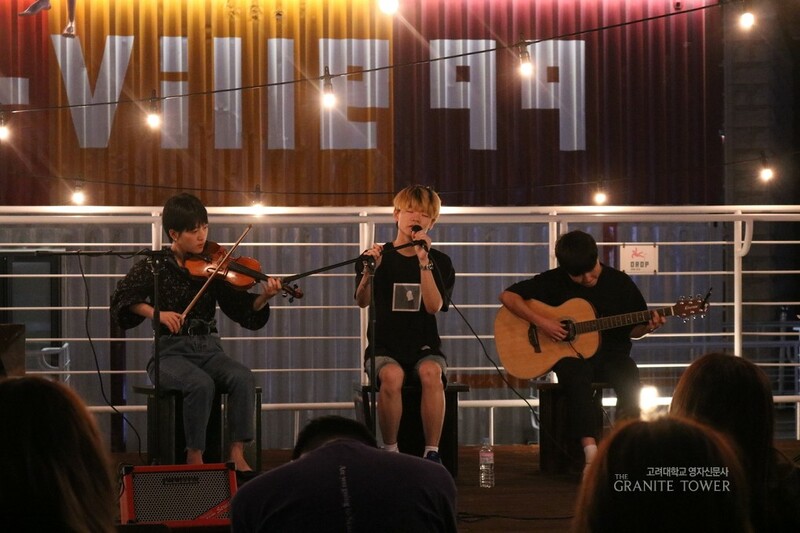 Notably, students had an opportunity to engage in a special live music show named “π-Ville Live” at the rooftop of π-Ville on September 7 at 08:00 P.M. “Listening to the beautiful songs with the wind on the rooftop, you will feel that KU is more romantic place than you thought,” π-Ville stated. In the live show, four teams named Mingmingyi and the Cat, Matdongsan, Baeksulgi, and Trivial Day came as the guests. While the first day of π-Ville Live invited guests who are capable of open-mike style performances, jazz and orchestra concerts will be held on the second and the third day respectively. Alongside with π-Ville Live, “The Corner Theater” is also held weekly on Wednesdays over three weeks. An exhibition named Husk, Be Gone will mark the end of Accident Black Spot 2018, which starts on October 1 and ends on October 12.